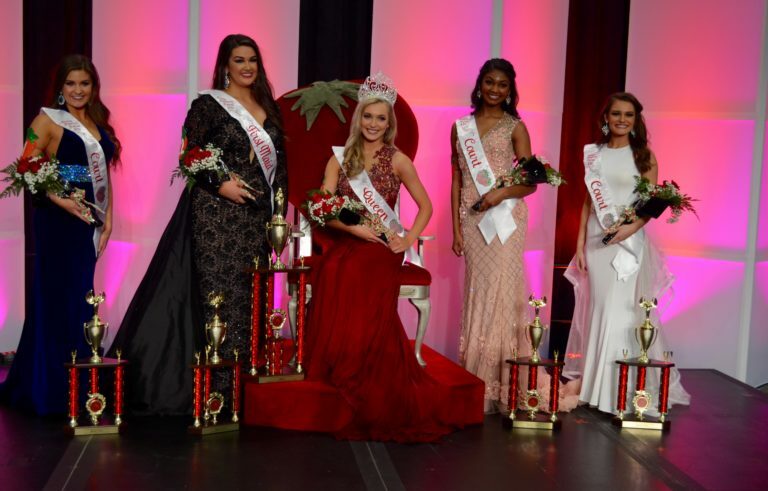 A new queen and court were crowned last night at the annual Florida Strawberry Festival Queen Pageant. Kendall Gaudens was crowned queen, Madilyn Conrad is her first maid and Kennedy Cullins, Olivia Frazier and Jada Brown make up her court. This year, 31 girls competed for the coveted crown. In the morning they participated in a seven minute personal interview with the judges. That evening from 6 p.m. until nearly 10 p.m. the girls showed off their causal wear and evening gowns, participated in a public speaking competition and then top 10 answered an impromptu question. The 2019 Florida Strawberry Festival will be Feb. 28 to March. 10. Kendall Gaudens, Madilyn Conrad, Olivia Frazier, Jada Brown, Kennedy Cullins, Meghan White, Emma Miller, Taryn Storter, Reagan Messick and Kiersten Struth.